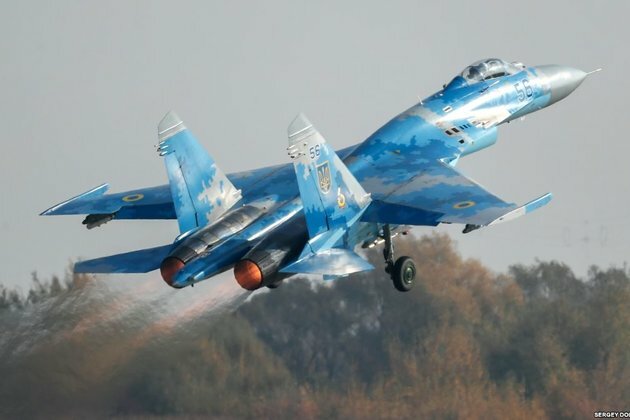 A two-seat Ukrainian fighter jet has crashed during a joint exercise with NATO air forces, killing both the pilot and co-pilot, Ukraine's military says. The circumstances of the crash -- which occurred in the Khmelnytskyy region, around 180 kilometers southwest of Kyiv -- have yet to be clarified, it added. A statement said it 'can confirm a U.S. service member was involved in this incident,' but stopped short of confirming the American's death. Personnel from the United States and seven other NATO member states are taking part in the Clear Sky drills, which run until October 21. Members of a California Air National Guard unit are among the participants.